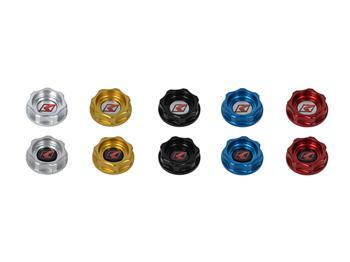 K-Tuned Oil Cap UNIVERSAL - Lightning Motorsports - Selling Speed since 1996 ! After a countless number of requests, the K-Tuned Billet Oil Cap is now available. Note right away that this oil cap is not just specific to the K-Series engine, we are fairly certain that it will fit all Honda engines. For a design, we weren’t trying to reinvent the wheel here, so we kept things very simple. Starting with 6061 billet aluminum blank, we threaded the bottom, machined a groove for an o-ring seal, cut out the center and placed 7 moon cuts around the outer circumference for grip when loosening or tightening. 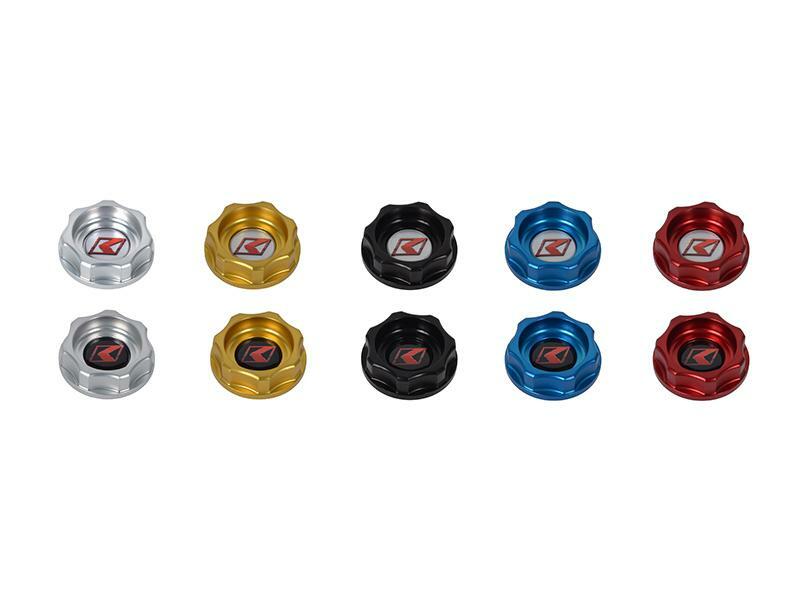 The cap is then fully polished and finished in your choice of 5 anodized colors: black, silver, red, blue, and gold. The last step is done by you, choose and apply one of the two included K logo center stickers in black or silver. Installing the sticker after you put the cap on your valve cover will keep our K logo sitting perfectly straight. This oil cap will finish off any Honda engine bay. Please note, both silver and black stickers are provided. Be sure not to apply the sticker till after the oil cap is installed.